Emily Isaacson, Canadian poet, employs verse to transcend the measure of the ordinary for the life of contemplation. In House of Rain she embarks on a journey with the reader toward the understanding of poetic verse, with the intention of pointing her readers toward the transcendent lifestyle—where meanings are deeper than just words. The poet’s communing in the house of rain is marked by her use of words, and absence of words where no words are possible. In this she actualizes silence throughout, the ability to quiet the soul in anticipation to receive from a higher source. When we are in need of someone to take us by the hand into the realm of understanding, this she does with mirror-like tranquility and a serenity purchased from nature at great cost. Her word painting of the natural world and the home in which she lives vow a deep solitude found only where society has left no footprint. 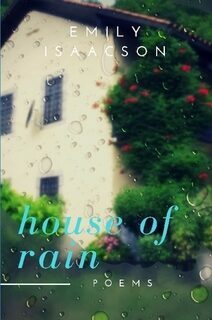 Praise for House of Rain . . .